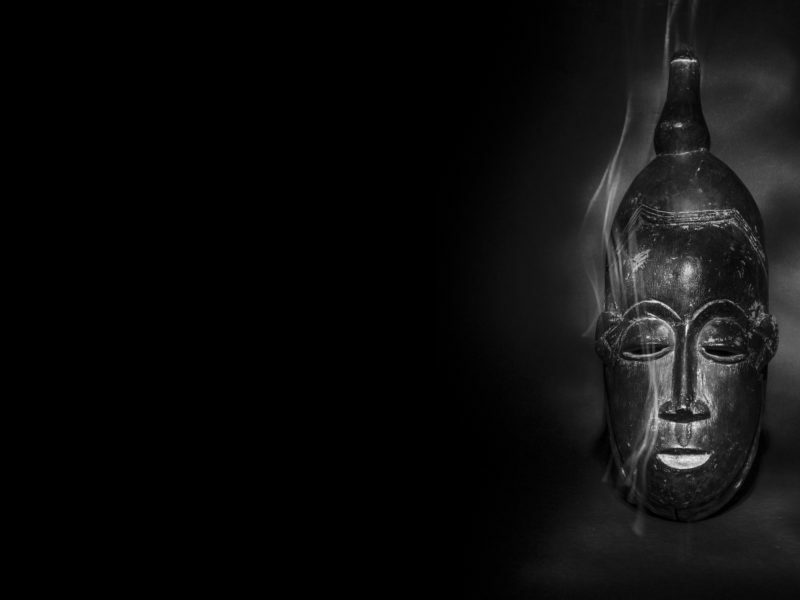 Magical african tribal mask with smoke, like it is creating some kind of magic. We were encouraged when President Macron during his recent African tour pledged that he wanted to see Africa’s cultural treasures on show “in Dakar, Lagos and Cotonou,” that to us was very positive and encouraging news. In Burkina Faso, he declared that “African heritage can’t just be in European private collections and museums. We at AfricanaQ commend him for taking this position – this gives some comfort to this topical and controversial issue. It would be interesting on how the European museums act to statements made my Emmanuel Macron – our hope is that these words turn to actions – It is further encouragement that Macron appointed two experts who will report later this year  on the repatriation of African cultural heritage held in French museums. The Senegalese writer and economist Felwine Sarr and the French art historian Bénédicte Savoy, are due to present their recommendations in November. 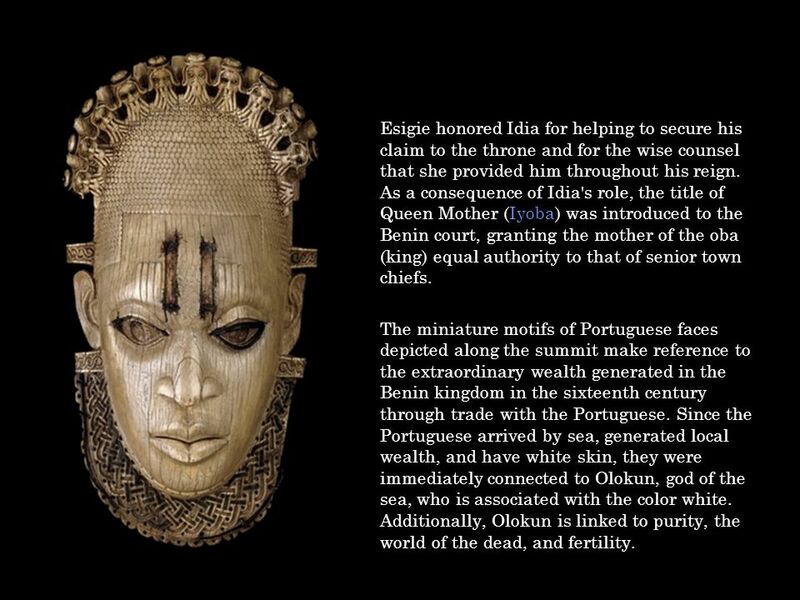 The miniature motifs of Portuguese faces depicted along the summit make reference to the extraordinary wealth generated in the Benin kingdom in the sixteenth century through trade with the Portuguese. Since the Portuguese arrived by sea, generated local wealth, and have white skin, they were immediately connected to Olokun, god of the sea, who is associated with the color white. Additionally, Olokun is linked to purity, the world of the dead, and fertility. Various discussions have been ongoing on returning these arts – In Nigeria, there has been progress by proposals put forward by the Nigerian government put forward by the Nigerian government centred on a new museum for Benin art located in Benin City, “Plans are still ongoing to set up the museum in the royal place of Benin… This would be the safest place in Edo state as it is culturally sacred,” says a Nigerian government spokesman. 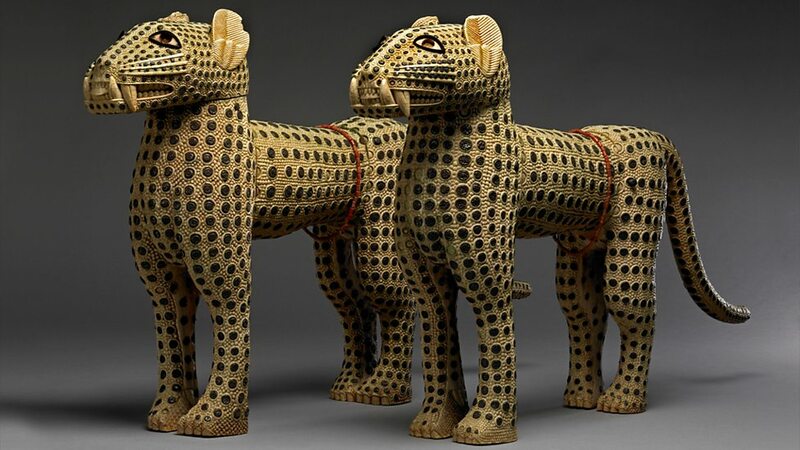 The British Museum also has an extensive collection of Benin treasures, the crucial question is whether they will lend their Benin works to the planned museum in Benin City. The beautiful and magnificent head of the Oba of Benin was acquired by the Louvre Abu Dhabi. Also, the Musee du Quai Branly – Jacques Chirac in Paris, has a vast collection of African artefacts which is fascinating and equally pungent. 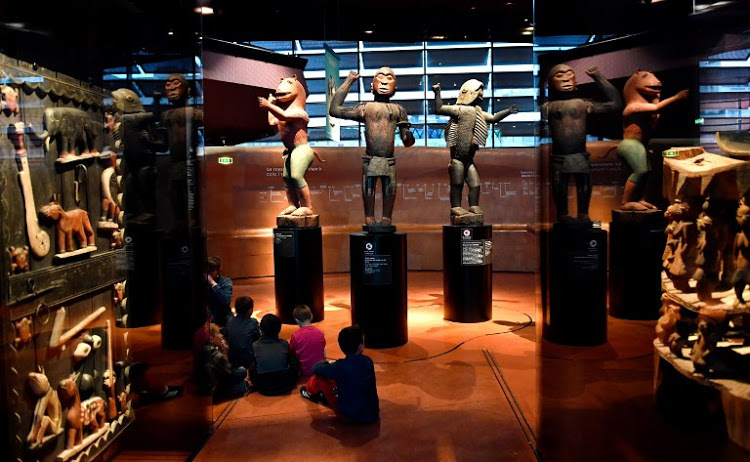 Big royal statues of the Kingdom of Dahomey dating back to 1890-1892 are pictured on June 18, 2018 at the Quai Branly Museum-Jacques Chirac in Paris. One of the options being considered is the idea of collaborating on loans and exchanges with African museums instead of full repatriation – the problem as usual is whether suitable African museums can be sourced for partnership could be arranged for medium or long term exchanges, for example the Museum of African Civilisations in Dakar. It is encouraging that the Victoria & Albert Museum (V&A) is collaborating with the Ethiopian embassy in London and an advisory group from the Ethiopian community in London on an exhibition of Ethiopian treasure, including the gold crown, seized by a British military expedition in 1868 to punish the emperor of what was then Abyssinia. We at AfricanaQ will continue to monitor developments in this area, but we do wish that Africans can equally enjoy this beautiful arts as part of culture.